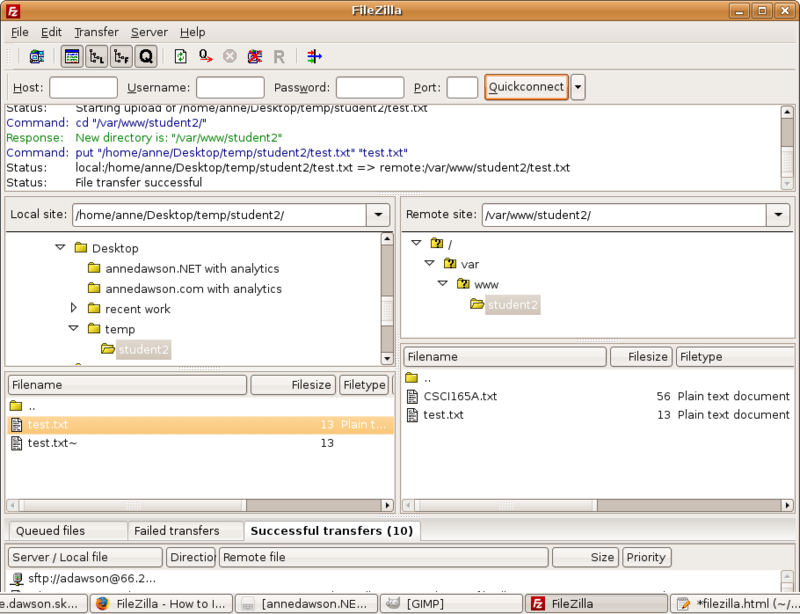 to find and install FileZilla. 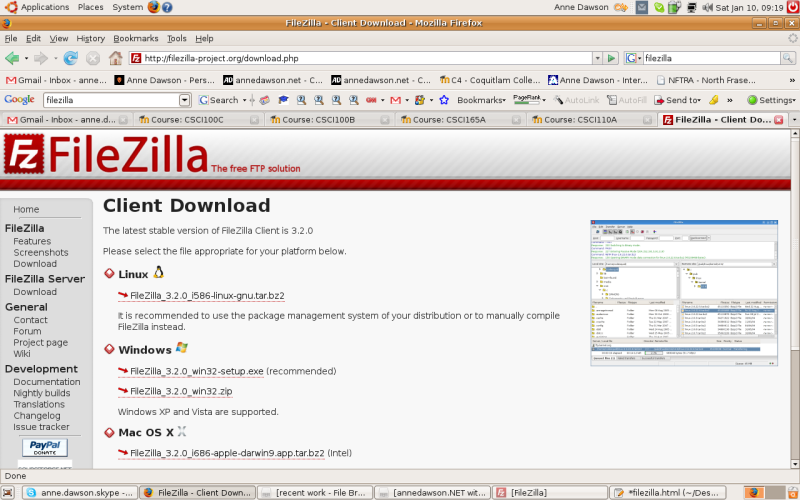 The following screen shots were taken from an Ubuntu Linux installation of FileZilla. 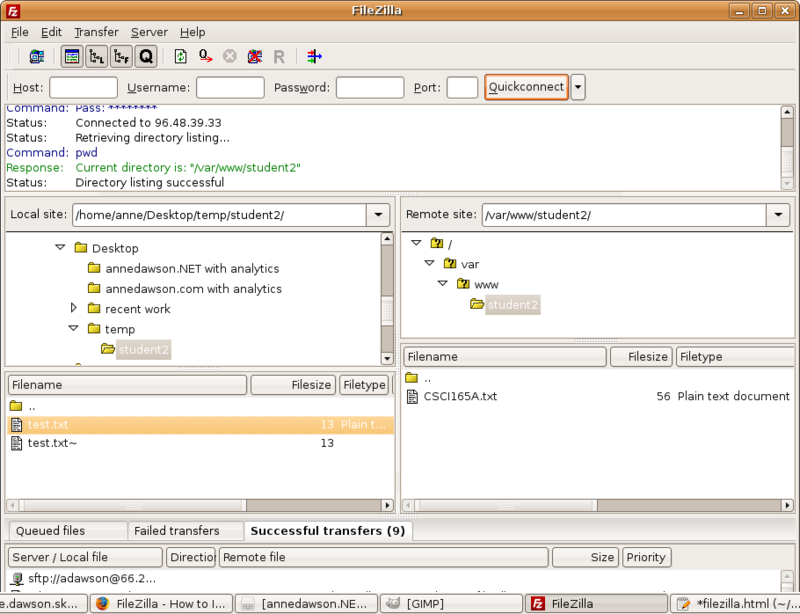 Similar screens will be seen on a Windows or Mac machine. then click on the "New Site" button. (supplied to you by the instructor in class), e.g. student1, student2 etc. but substitute the IP and username as supplied to you by the instructor. then double click on your new site "student2"
or do a single click and then click on the "Connect" button. and you cannot navigate to any other folder on the remote site.